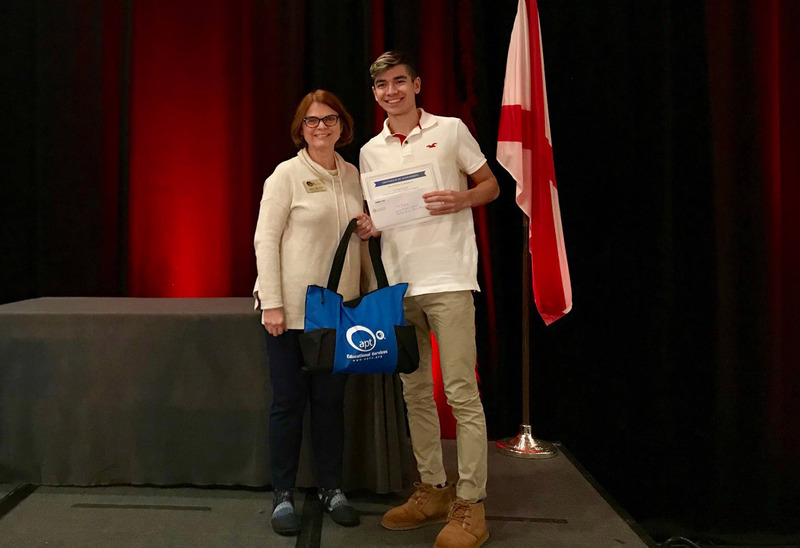 Students and teachers from Lee High School were presented the 1st place award at the Alabama Association of School Boards annual convention this month for the “How We Achieve Excellence in Our Schools” video competition. The recognition also came with a $1500 check for the school. The 1st, 2nd, and 3rd place winners were officially announced this past spring and had their videos shown at a state school board meeting in June. The challenge for middle and high school students was to produce a video of no more than 60 seconds around the theme of how excellence is achieved in a school. Over twenty-four schools from around Alabama submitted videos that were judged by a group of video production professions. Juniors and seniors in the Lee High Performing Arts Magnet along with media and theater students collaborated to produce the video. Roy Albright, a junior at Lee said they were “super happy because we worked so hard on this video,” adding that “it was a sign of relief” to hear about the first-place finish. Dillon Lee, instructor of the cinematography classes at Lee High, said their goal of the video was to focus on the visual elements that can relate important information to the viewer. “We live by the rule show, not tell,” and if you can tell a story without words it is truly using the medium in its purest form.